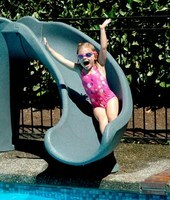 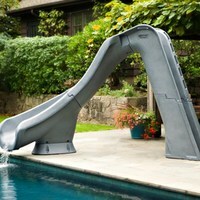 A retro look with a thoroughly modern, rotomolded flume makes this the new standard for backyard fun. 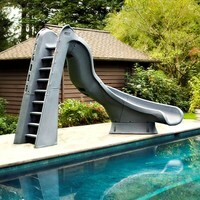 Compact style ideal for limited deck space and smaller pool enthusiasts. 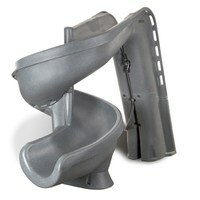 Offers all the fun of its big brother, the TurboTwister, yet in a smaller package for more limited deck space.